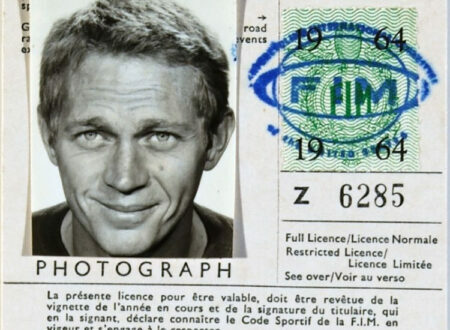 This is Steve McQueen’s 1964 international motorcycle license, it sold at auction in 2009 for an eye-watering $42,700 USD. Click the image to see the high-resolution version and if you want to save yourself a fortune just print it out and spill some coffee on it. It’ll look totally legit.